My husband’s 40th birthday just passed and to celebrate I threw a surprise party for him at a local brewery. 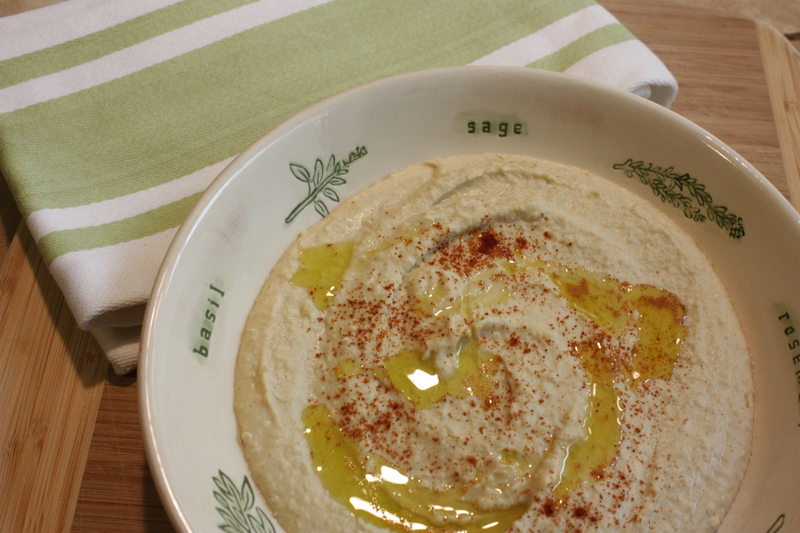 Hummus is one of my go-to party appetizers so I made a double batch to go with the crudite platter. I had multiple requests for the recipe so I thought I’d share it here. Hummus isn’t just for parties. 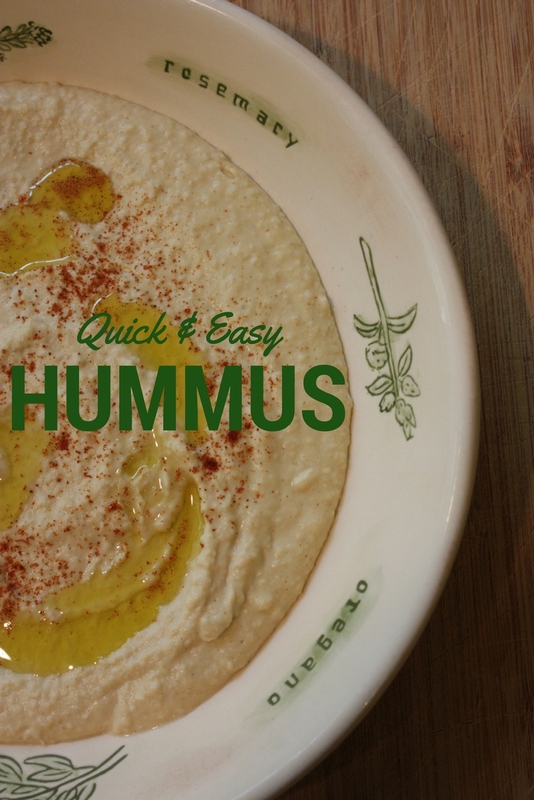 It makes a great snack when paired with veggies, crackers, or pita bread and even works as a tasty sandwich spread. This recipe takes 5-minutes to make and always garners rave reviews. In a food processor fitted with a metal blade puree the chickpeas, garlic, olive oil, lemon juice, tahini, cumin, and salt until smooth. Add water 1 tablespoon at a time until hummus becomes creamy. 1-2 tablespoons is usually all that’s needed. 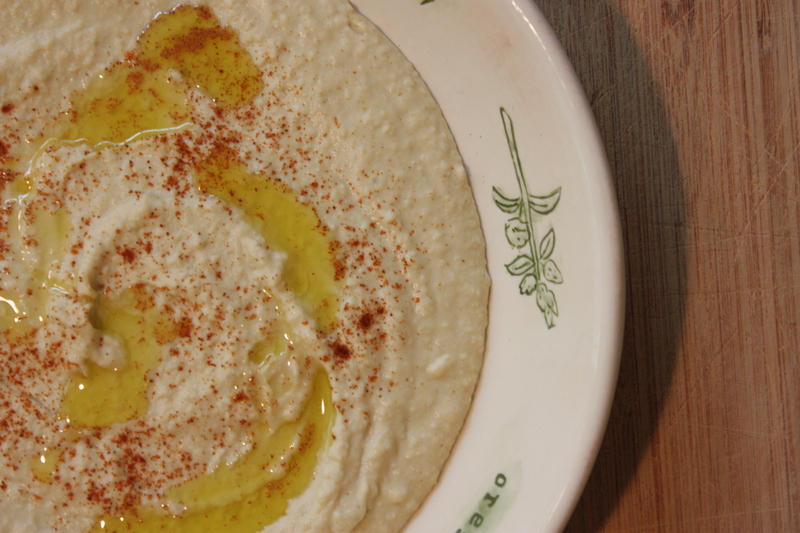 Transfer the hummus to a serving bowl, drizzle with olive oil and sprinkle with paprika. TIP – To save yourself from having to mince your garlic, drop it in the food processor first and pulse until nicely minced. If you add everything at once you’ll want to mince the garlic first or you may end up with a large chunk of unprocessed garlic in your hummus. 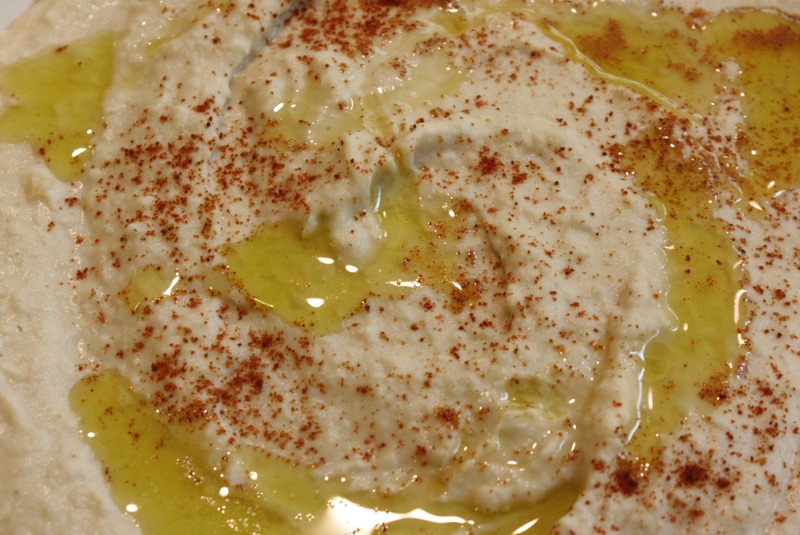 NOTES – Tahini is a paste made from sesame seeds. If you can’t find it at your local supermarket it is readily available online. 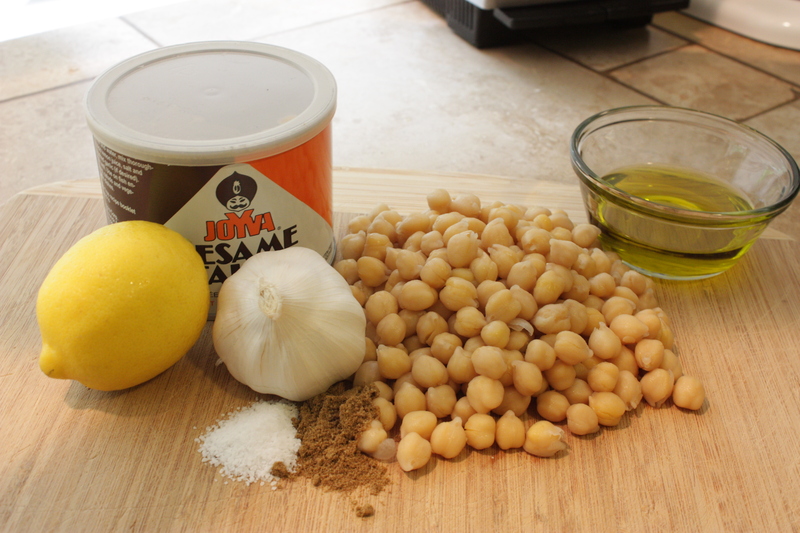 Dry chickpeas/garbanzo beans that have been cooked can be used in place of the canned beans. You’ll need 1 1/2 cups.